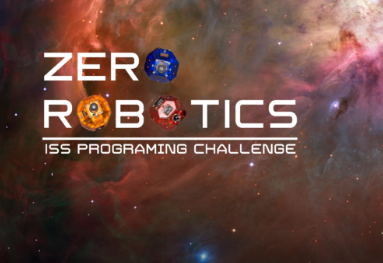 IA's Zero Robotics Team are Finalists! Space Phoenix, IA's Zero Robotics team, has made it to the finals, where their code will have the chance to be run on the International Space Station. This is IA's first year participating in Zero Robotics. Space Phoenix was founded by Pranav Arunandhi, a Junior at the IA, and the team is comprised of Spencer Novaco, Randy Mi, Enrico Colon, Neha Dwibhashym, and Pranav Arunandhi. After qualifying from the first two rounds of the competition, they worked with their alliance partners in Romania and made it to the finals through the virtual round. The finals will be held at MIT on this Monday, January 28th, when the codes of 17 finalist teams will be run on the ISS. The live webcast will be broadcasting here (http://web.mit.edu/webcast/spheres/s19/) starting at 7:15 AM on Monday; they will start running the ISS finals around 9 AM.